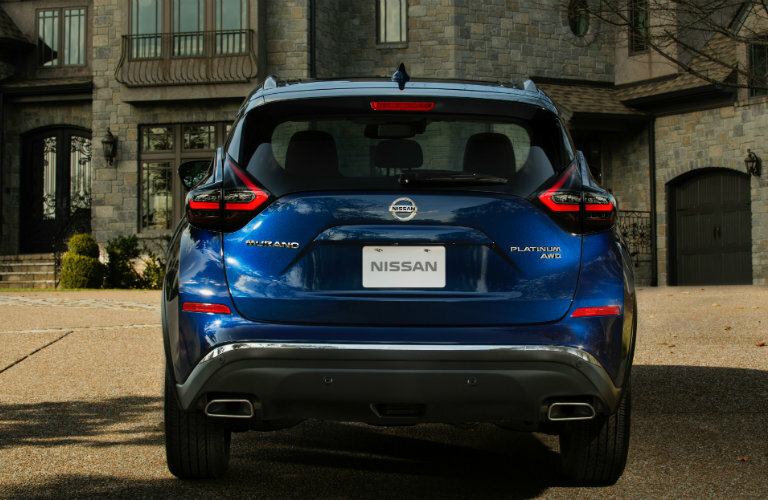 The Nissan Murano has always been one of the most elegant SUVs not only in the lineup but also in its entire class. Everything from this crossover’s exterior design to its interior sophistication embodies what we want from a high-class vehicle. Nissan is committed to continuously improving its products. Check out what’s new on the 2019 model. You might also be interested in: What Nissan vehicles have all-wheel drive? Aesthetics are a big part of what the Murano is all about. The signature V-Motion grille has been emboldened, the headlights and taillights have been reshaped, LED fog lights have been added, and there are new 18-inch and 20-inch aluminum-alloy wheels. Additionally, new paint color options are available. Come see them for yourself at Matt Castrucci Nissan. The interior of any luxury vehicle is where you’ll find the top features. 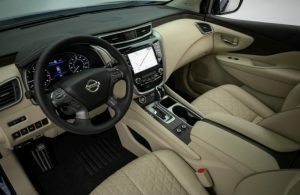 Improvements made to the interior are led by new semi-aniline leather-appointed seats with diamond-quilted inserts. These inserts contrast the micro-piping of the seats to give a fresh new look. New seat trim colors are available, and the new Rear Door Alert system is now standard on all models. To give drivers greater safety and security, the features of the Safety Shield 360 have been enhanced as well. Now standard on the Nissan Murano are automatic emergency braking, pedestrian detection, blind spot warning, rear cross-traffic alert, high beam assist, and lane departure warning. Come down to Matt Castrucci Nissan to learn more about the Nissan Murano. We will go over everything else there is to know about this luxurious like pricing, add-on features, and leasing and financing options. We hope to see you soon! What's Inside the 2018 Murano? This entry was posted on Friday, January 25th, 2019 at 10:07 AM	and is filed under Nissan Murano. You can follow any responses to this entry through the RSS 2.0 feed. You can skip to the end and leave a response. Pinging is currently not allowed.